Try something elegant and finish off your next arrangements with some tulle netting. It's a great look that can really help to reinvigorate your flowers. At Koch & Co, we stock a wide range of high quality products so that our customers can find exactly what they need, all under the one roof. We import our goods ourselves from trusted manufacturers, to make sure that our customers can have great products at wholesale prices. 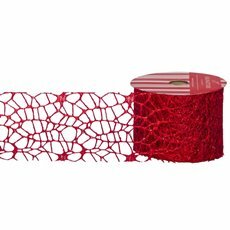 Signature® Tulle Ribbon or Sheer Ribbons Cut Edge is soft, elegant and multi purpose. Tulle is a great choice if you want to try something different and add something extra to your decoration. This lightweight and sheer fabric has intricate details and looks luxurious. Try it out on your next project. Our range of Tulle or Wedding and Christening Tulle offers rich fun colours as well as subtle sheer tones that enhance any occasion without over powering your work. 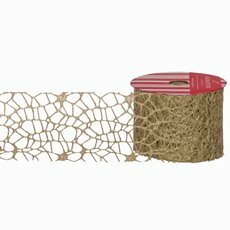 Cut Edge Sheer Tulle ribbons are an economical and generous ribbon for everyday use. Available in widths up to 150mm to accompany your christening candles, wedding decorations, wedding cars and events decorations. The quality and continuity of colour sets our ribbons apart from other Sheer Organza Ribbons at wholesale prices. This ribbon is suitable for almost any occasion such as wedding ideas, christenings gifts, baby gifts, bonbonniere, party decorations, gift packaging and wrapping needs. Our much loved business was originally started in Sydney in 1931. Since these humble beginnings, Koch & Co has grown to become an importer, national distributor and wholesaler with the largest range in the country. We sell our products Australia-wide and offer quick delivery to the major centres such as Sydney, Melbourne, Brisbane, Perth and Adelaide.